Paul leaving Key West on a world record kiting crossing attempt to Cuba in 2001. Cabrinha posted an article accenting aspects of those 20 years of kiting and the 16 years he has been sponsored by the brand. Hi Paul! This year marks your 20th anniversary in the sport as professional. How are you doing these days? I am doing amazing, life just keeps getting better and my passions are now in a synergy together which makes everyday an adventure! 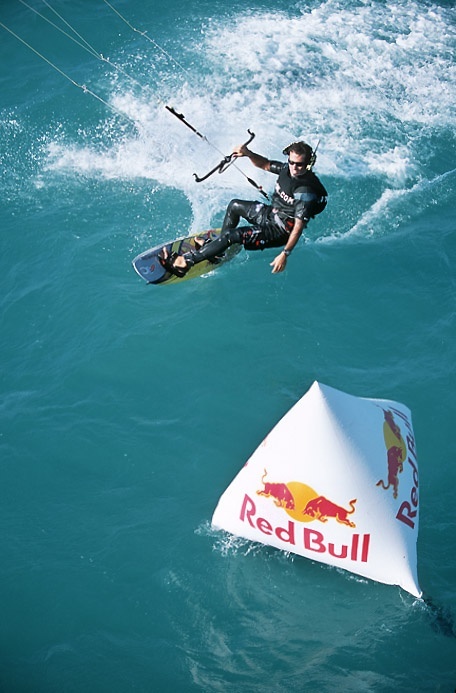 With 20 years of kiteboarding experience you have seen the sport evolve. What was the vibe like in the oldschool days and how do you look at how the industry changed over the years?" Paul riding off La Parguera, PR in 2003. I went down to write an article on his operation there and to so some kiting.